What do you need to do to recruit nurses in the private health sector. 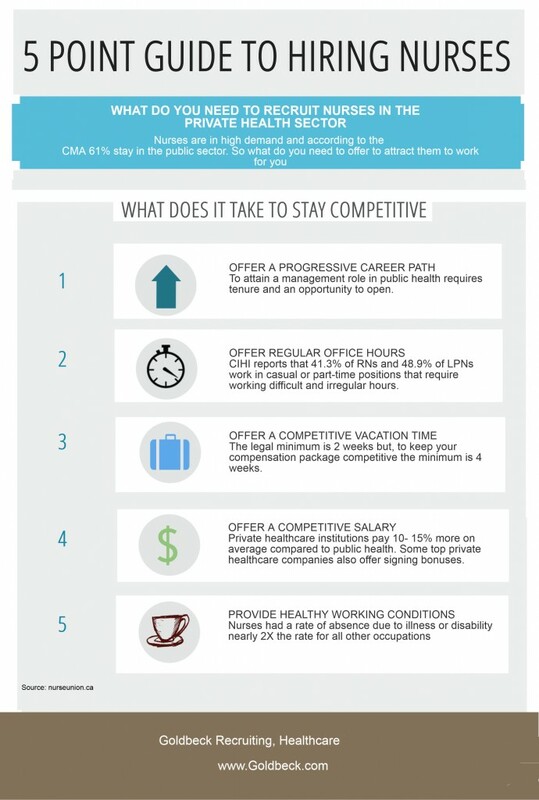 Nurses are in high demand and according to the CMA 61% stay in the public sector. So what do you need to offer to attract them to work for you. This 5 Point Guide infographic will help you get started.